I hope this reaches the right person. I would love to hear Sinbad's comment on this. How long has he been a Mac user? Why does he think African Americans do not use Apple Computers ... or at least disproportionately? I sincerely appreciate your help if you are able to forward this for comment to Sinbad ... whom I think would be very interested in commenting on the topic. 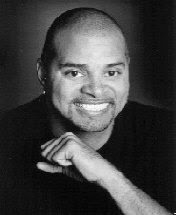 If anyone happens to know how to contact Sinbad more directly ... please let me know.